This content was published: December 14, 2016. Phone numbers, email addresses, and other information may have changed. 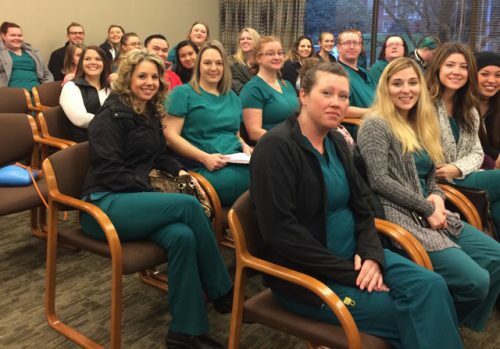 On Wednesday, Dec. 14, the Legislature’s Emergency Board unanimously approved $1.6 million for PCC to train 150 nursing students from the former ITT Technical Institute to complete their nursing degrees. 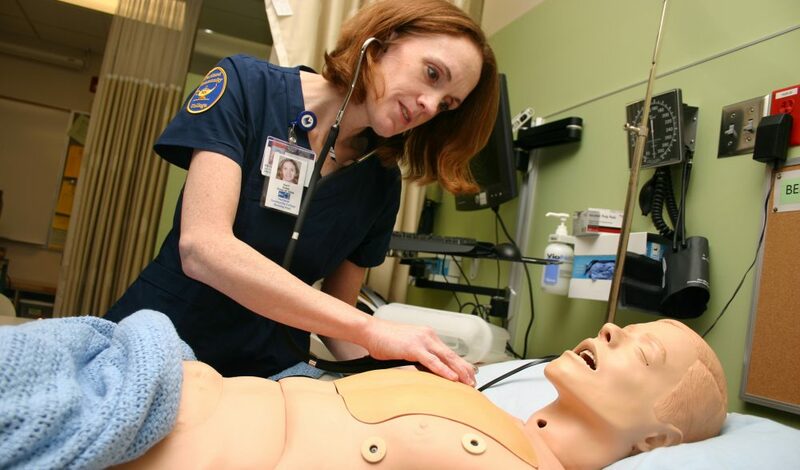 Under a plan developed jointly by the Higher Education Coordinating Commission and PCC, and in consultation with the State Board of Nursing, PCC would “teach out” displaced ITT students who were preparing to enter their fifth through ninth quarters of the roughly two-year associate degree program that qualifies students to become registered nurses. The specialized program would likely be taught at the former ITT facility using former ITT instructors, helping to preserve some continuity for the students. Students would pay standard PCC tuition and fees for this program, which will be discontinued at the end of the teach out. Students who were in their first four quarters of the ITT program would not be eligible to participate in the teach out, but may seek to have any federal student loans they received through ITT discharged. Nursing students on hand for the E-Board decision on Wednesday. PCC received approval from the HECC and its regional accreditor, the Northwest Commission on Colleges and Universities, to offer the program only to former ITT students starting in January, 2017. The Legislature’s action clears the way for PCC to secure a lease and equipment, hire faculty, and seek final approval from the U.S. Department of Education. The college will keep students informed of those efforts, and will make a final decision about the winter term within the next several weeks. The students’ educational futures have been in limbo since Sept. 6 when ITT Technical Institute abruptly ceased operations in the wake of a U.S. Department of Education decision to restrict the institution’s ability to access federal financial aid. The $1.6 million authorized by the Legislature includes $175,000 that will be re-directed from the HECC’s existing 2015-17 general fund operating budget. State funding will not be released to PCC until final cost estimates are available for review by the State’s Chief Financial Office and Legislative Fiscal Office. Congratulations! I too was a Nursing student at ITT. I was one quarter away from being included in this teach out! I will be attending PCC in January also, just not part of this. I am amazed at the compassion and hard work for my fellow nursing students!! While I admire all of the work that was put into this teach out and am excited for those students who will be able to finish off what they started, being one quarter away from eligibility for this teach out is very disheartening. December 7, 2016 marked one year from the first day I stepped into ITT Tech as a nursing student. That is one whole year of sacrifices made by not just myself, but my family and those around me, lost time with my family, lost time that I could have been working, hundreds spent on gas and the required quarterly payments to ITT, all of the hard work, unending hours of studying that often lead into the next morning, tears from the stress and emotional rollercoaster that comes with the nature of nursing school, all of it, down the drain. It is very hard to believe that this teach out could not have extend to another 28-30 students who would have been in my cohort. I am heartbroken for the rest of us who were so close to making the cut. I can only hope now for a class action suit that will bring some kind of justice for us. Congratulations fellow nursing students, on the open door to finishing what you started. Yes I agree with said post, congrats to all the nurses that get to finish there degree!! But am very disheartened and ashamed that not all of the nursing students were included in the teach out, you don’t know what this has done to families, people’s dreams taken from them and not a care even given. Why was a ITT nurse who invested 6 months or even a year not just as important as a nurse 1 year and 1 month into there degree? Granted everyone has a different story but you don’t know the sacrifices some have made to get that 6 months or year into the program but we don’t matter? I just don’t know how this can even be ok? I am very great full that the 5th quarter and above get the opportunity to finish there degrees that’s awesome! But it is very wrong to have not let all the nurses finish there degree. Lives of people and children will be crushed by this decision all 300 nurses should of been included in this teach out not just a portion, and I do hope that yes there is a lawsuit filed in this matter, because to me every single one of us at ITT breckenridge nursing school lives matter not just 150!! CONGRATS! to everyone affected by this decision. Special Thanks to Elizabeth Lundy and her efforts to help these students. A big Thanks to the legislators in Salem for seeing the importance of assisting and working with local Higher Ed to help the students. As a fellow student nearing the end of my degree I fully understand the positive life changing things of career advancement or training. I am Proud to be a Student of PCC and proud of its unrelenting support of students to better their lives through education. Just another reason PCC is a leader in local Higher Ed. Well Done!